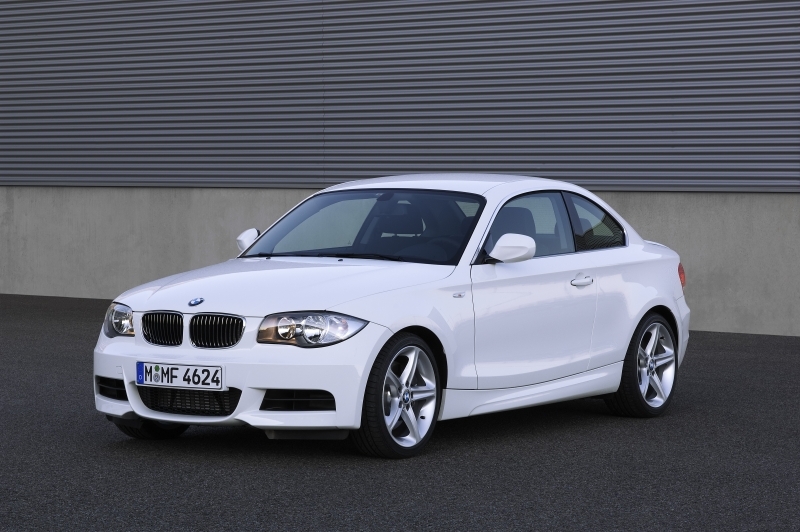 When it first came around back in 2008, BMW’s 135i was heralded as the rebirth of the company’s timeless 2002, a lithe two-door performance coupe produced in the 1960s and 1970s. The prodigious output of the 135i’s all-new twin-turbo inline six powerplant snagged a lot of headlines, as did its explosive acceleration figures, but unfortunately its high cost meant it remained out of reach for most boy racer types. At just less than 200 lbs lighter than its more full-featured big brother, the 335i Coupe, it wasn’t all that lithe either, at least not compared to the go-karts of the 1970s. Still, it’s hard to fault a rear-wheel drive machine with a near 50/50 weight balance and fittingly aggressive stance, and out on the open road, the 135i proves an able tourer, with plenty of room for two (we advise not putting people in the rear seats), tons of torque and decent highway fuel economy considering how much power is on tap. 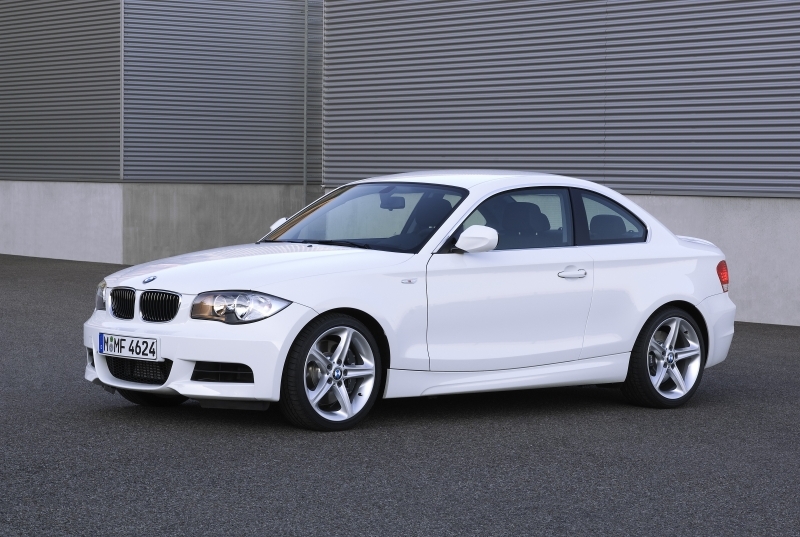 Prodigious power and a sweet-shifting manual transmission make the 135i a blast to drive. 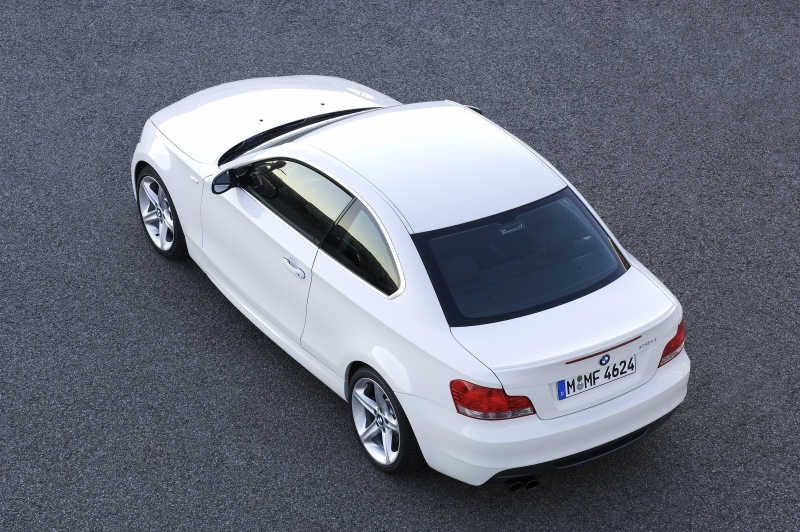 It’s a good-looking car, and the BMW badge on the deck lid doesn’t hurt its image – or its solid build quality – one bit. Inside, the 135i feels like a throwback to the last-generation 3-Series, with lots of buttons and some confusing controls. Power seats and an iPod/USB adaptor don’t seem like they should cost extra on a car of this caliber. The rear seats are absolutely useless as far as passengers are concerned. There’s a reason BMW’s twin-turbo inline six has been rated International Engine of the Year in its category multiple times, and a large portion of this praise has to do with the engine’s fantastic linearity. This new single-turbo engine in the 135i is even more flexible, and once above 2,000 rpm, power delivery is amazingly linear, all the way up to the redline. This means you don’t have to shift to pass on the highway, and out on a twisting back road you can simply leave the transmission in third and let the torque do the talking, as it were. At the limit, understeer becomes an issue – something we don’t often see in a BMW coupe – but that can be dialed out with a few performance mods. Overall, the chassis and engine are well matched, and this is a small car that can eat up miles in comfort the way only larger vehicles are typically capable of. The 135i is powered by a turbocharged 3.0-liter inline six-cylinder engine with variable valve timing, which produces 300 horsepower and 300 lb-ft of torque. Power is driven through the rear wheels by either a six-speed manual transmission or a seven-speed dual-clutch automatic. The 1-Series comes with a pretty trick key fob that plugs into the dash, allowing the driver to start the vehicle via push button, but the coolest part is that it allows you to unlock the doors just by pressing the handle, so long as the fob remains in your pocket. Optional onboard navigation courtesy of BMW’s recently updated (and this time good) iDrive system is also available. The cabin is laced with Bluetooth goodness for hands-free calling, in addition to a navigation system. An optional Harman/Kardon 10-speaker premium sound system complete with HD radio and audio in addition to USB inputs rounds out the otherwise utilitarian cabin. Despite the fact that it’s smaller than BMW’s 3-Series coupes, the 135i hardly fares better when it comes to fuel economy, retuning 18 mpg in city driving and 25 mpg in highway driving with both the manual and automatic transmissions. Inside, the 135i is plenty comfortable and certainly feels driver-focused, but unless you opt for power seats and iPod compatibility, it can come across as feeling positively old-school – which some will like and some will hate. 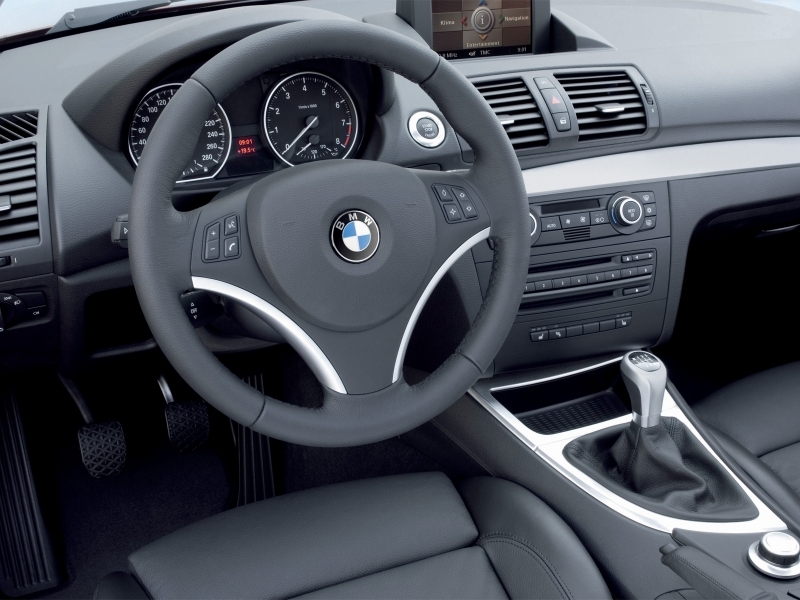 BMW craftsmanship remains as fine as ever, with a simple yet effective cabin layout. About 10 inches shorter than the 335-series coupe, the 135i is pretty compact by today’s standards, but it manages to marry its small stature with a sporty appearance thanks to short overhangs and a streamlined body. 18-inch wheels come standard, though buyers can opt to downgrade to 17s in the name of increased ride comfort. 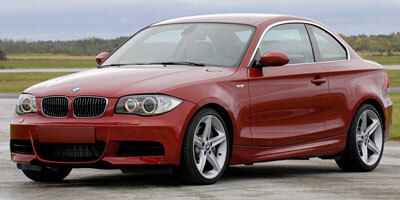 The powerful 135i coupe starts at $36,050, and the convertible version starts at $40,350. Since this is a BMW, the price rises with every option. The 1-Series finds itself in odd company with rear-drive competitors such as the Hyundai Genesis Coupe 3.8 ($25,000), Ford Mustang ($25,845), Mazda RX-8 ($26,645), Nissan 370Z ($30,410) and even big brother BMW 328i itself, which starts at $36,200. BMW’s 135i is a great bid in the high-power horsepower, rear-wheel drive segment, but only if you can afford the price of entry – which is admittedly outside the budget of most boy racers. There will likely be a major second-hand market for this vehicle in a few years’ time, but for now, if it’s an object of your desire and you have the scratch, go for it. We just advise a few understeer-nullifying adjustments before taking it to the track.